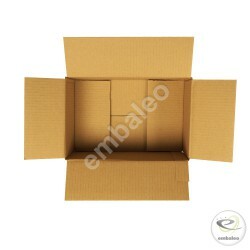 A range of cardboard boxes specially made for the automotive sector. Type : GALIA boxSize : C14Length : 40 cmWidth : 30 cmHeight : 15 cmUnit weight : 235 gThe GALIA box is sold without its lid. The closure is made thanks to the hooded cover. 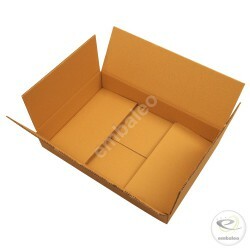 Type : GALIA boxSize : C11Length : 60 cmWidth : 40 cmHeight : 20 cmUnit weight : 425 gThe GALIA box is sold without its lid. The closure is made thanks to the hooded cover.